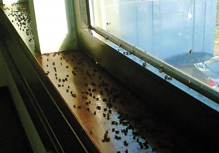 Nobody likes flies in their home, the key to effective control is understanding what species of fly is causing the problem and whenever possible to treat the source of the insects. 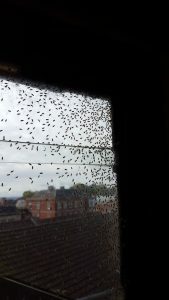 Cluster flies enter buildings in the autumn to hibernate and these insects can accumulate in large numbers. Cluster flies leave the premises Mar/Apr and may become more active at times of warmer weather. 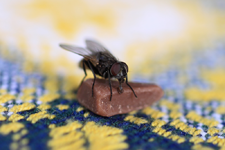 Other species of fly can enter homes and their presence can cause distress and hygiene concerns. Do I have a fly infestation?